ABOUT US – Wait, I Know This! Eric Chilton is a 27 year veteran of television. He has worked everywhere from Myrtle Beach, S.C. to Tampa, Florida. 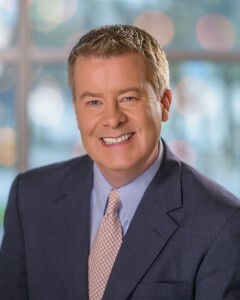 Usually a feature reporter and meteorologist he has also hosted the number one morning show in Tampa called “Good Day Tampa Bay”. And along the way has hosted movies on The Disney Channel. He has interviewed countless celebrities on junkets for the FOX network and through his morning show hosting jobs. As a child he had no hope for a life outside of classic TV as his hometown is the real life Mayberry. You can’t grow up in Mount Airy, NC (hometown of Andy Griffith) and not be a classic TV guy…its just not allowed. But eventually Eric’s love for the medium took him straight to the “little screen” and there he shall reside until retirement. He grew up with Johnny Carson as his idol and watched the Tonight Show from the time he was four years old. (He was the last of 5 and apparently his parents were tired of telling people what to do so they let him stay up. ) Being a self-proclaimed lover of technology, television and TV production it only seemed fitting that he jump head first into “New Media”. And that he did with the creation of his online show Wait, I Know This!